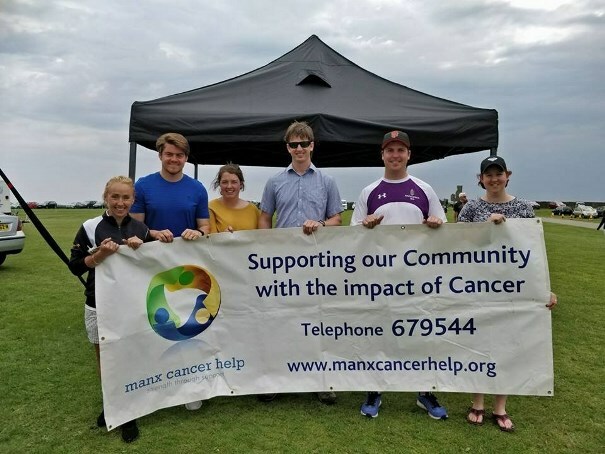 A group of 12 colleagues from The Buchan School and King William’s College will take on the National Three Peaks Challenge in aid of Rebecca House and Manx Cancer Help this weekend. The challenging test will see the group travel to the UK to climb the three highest peaks of Scotland, England and Wales in under 24 hours on Saturday 30th June. Over the 24 hour period the group will walk 23 miles, drive 462 miles and ascent more than 10,000 feet. The Isle of Man Steam Packet Company is supporting the trip by assisting with the cost of return travel to England for the climbers. Alan Macnair, head of academic administration at The Buchan School, said: ‘To climb the three tallest peaks of England, Scafell Pike; Wales, Snowdon and Scotland, Ben Nevis in just 24 hours is going to be one of the most physically demanding things we will ever do, particularly as we aren’t experienced climbers, but I have complete confidence in our group. Photograph: Some of the participants in this weekend’s Three Peaks Challenge (L – R, Bernie Dunn, Conor Smith, Nicola Cain, Alan Macnair, Steve Jelly (not participating), Cat Beswick).